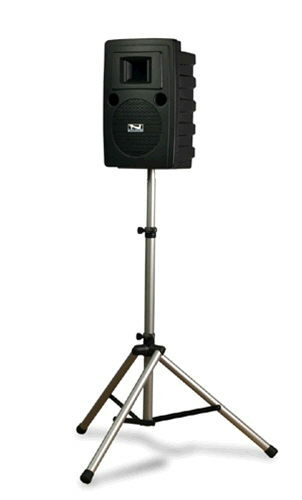 AUDIENCES UP TO 1000 WITH ONE SPEAKER, 2000 WITH BOTH, 50 WATT OUTPUT, DC/AC OPERATION. INCLUDES ONE WIRELESS MIC AND TRIPOD. YOU CAN HOOK UP A SMART PHONE OR OTHER INPUT DEVICE WITH A 1/8" (3.5mm) AUXILIARY CORD (NOT PROVIDED). * Please call us for any questions on our pa anchor wireless pkg in Concord CA and Pittsburg CA, serving the greater Contra Costa area.